As a health coach, Mel believes that our unwanted eating habits could actually be pointing us in the direction of our soul's true calling, and that our addictions reveal something much greater than cravings for caramel lattes - they reveal a need for love, connection, intimacy, and the feeling of being truly seen and understood, in spite of all our failures and flaws. In this book, Mel unveils the psychology and emotions behind eating. 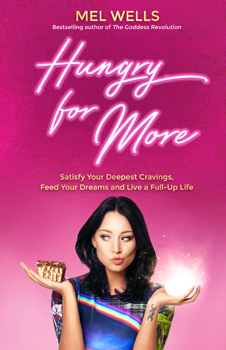 She will show you how your approach to food causes a knock-on effect to all other aspects of your life, such as money, relationships and career. Mel will help you see the truth behind your food patterns, and will teach you how to to start satisfying your deeper cravings, feeding your dreams, and nourishing your soul to live the life you desire.